I think they trust you, Takami 🙂 You have been able to capture so many gorgeous pictures of them! Beautiful and adorable and you captured it wonderfully! What a beautiful bird! Love that blue colour. And photo is great with the reflection in the water – superb! 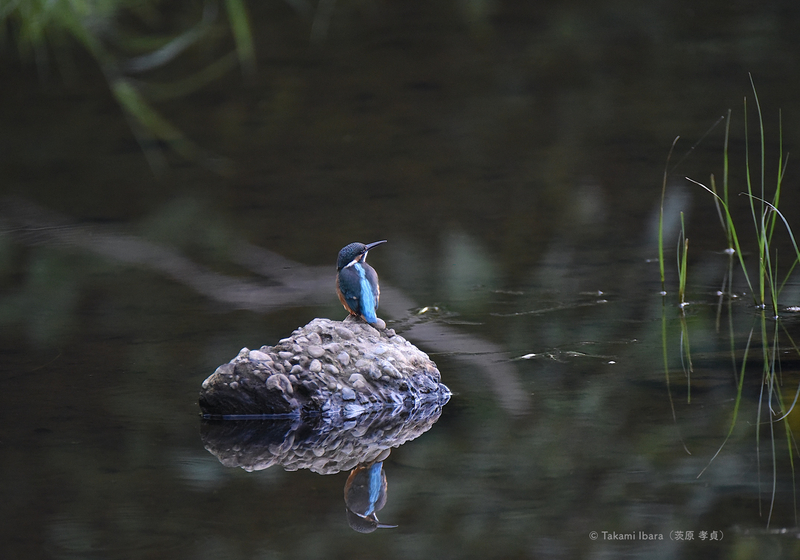 Sweet Kingfisher reflecting just nicely 🙂 Superb photographs, Takami! He gave you such a great opportunity. Aren’t you friends after all. I think he is already used to your presence, and feels safe. Congratulations on the great photos! I was so grateful to the little guy, he blessed me with a wonderful opportunity. Oh I am not surprised. This is a unique picture. It reflects such amazing tranquility, Takami. Thank you Jolandi. Really appreciate it. So very lovely. You are such a wonderful artist. Thank you my friend ❤ It means a lot. I am thrilled by the warm reception to these 2 images. So wonderful! I love these. Thank you so much and many blessings! Absolutely stunning Takami! This little blue bit of life is exquisite and you’ve done an amazing job capturing the moment and the reflection. What a talent you have! I'm humbled by the warm reception. 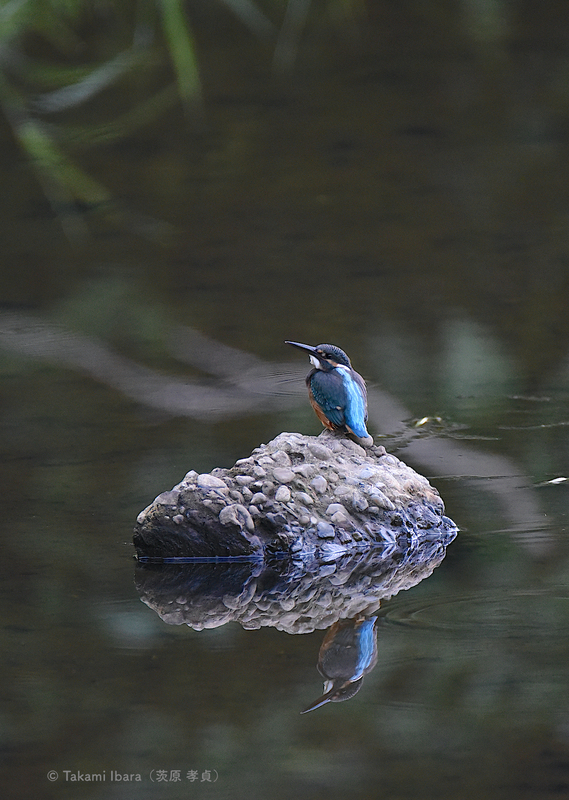 This young Kingfisher was a wonderful "model" and a very mellow young fellow! I was dreaming for such a long time to make these 2 images, I nearly forgot to press the shutter when the opportunity finally presented itself (!). Beautiful! That calm water serves as the perfect mirror! Haha, he was probably a male model in his past life. Amazing, beautiful captures Takami! Love everything about them!! Well done!! I love everything about this wonderful scene. The contrast between the small bird and the large rock and his grand surroundings… The colors… The lighting… His contemplative pose. Beautiful composition. Thank you Mr. Hien. I’ve been dreaming and hoping to make these shots for such a long time…it’s like a dream come true. These are really awesome pictures! Thank you very much Franz! Thank you so much Carol ❤ Much appreciated. These 2 photos were "images" that I've been hoping to make for some years. Recently, this young Kingfisher granted my wish 🙂 I am so grateful to the little guy. Thank you so much for sharing this background story, Takami. Your attention to the beauty around you and the patience you practice waiting for the right moment are inspiring. Most amazing, though, is the intention to bring forth work that celebrates life in such creative, exquisite works of art.